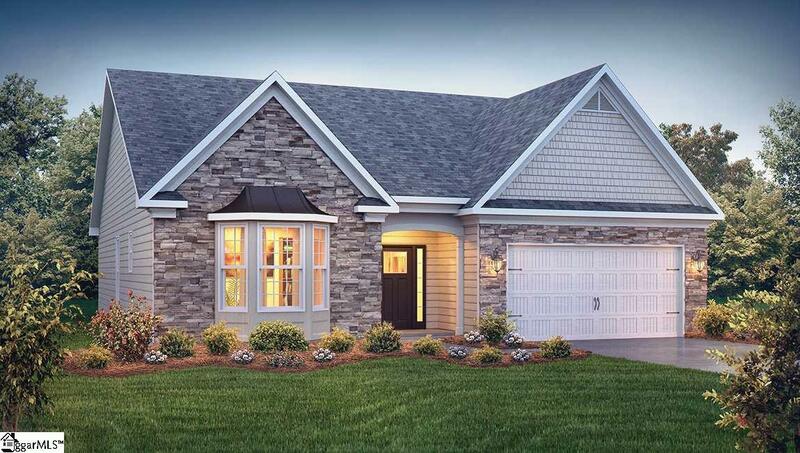 This spacious 3 bedroom ranch plan offers an open family room with gas log fireplace, kitchen loaded with granite countertops and tile backsplash, large island with seating and stainless steel appliances including a GAS range. 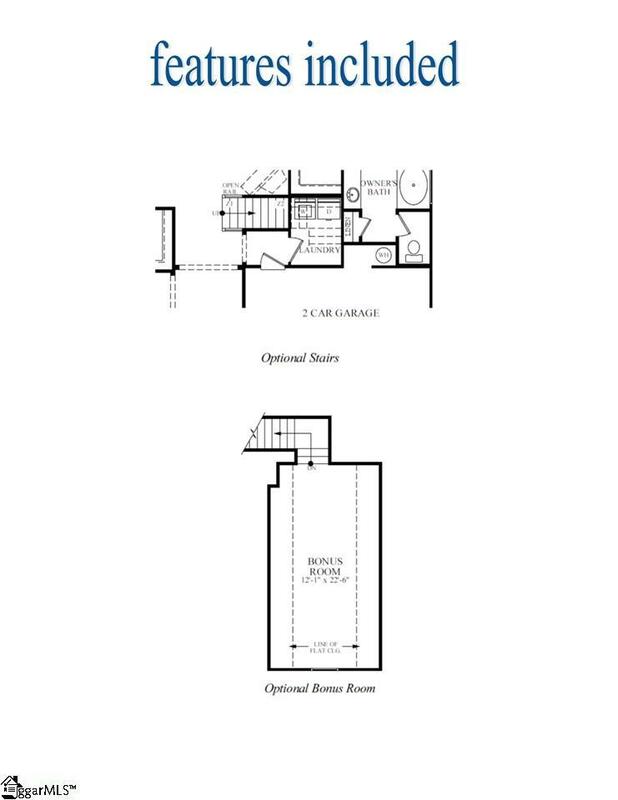 Located in the rear of the home, the owners suite offers privacy and comfort. Owners bedroom is complete with tray ceiling and 2 piece crown molding, the owners bath has a large tile shower and garden tub, and large walk-in closet. 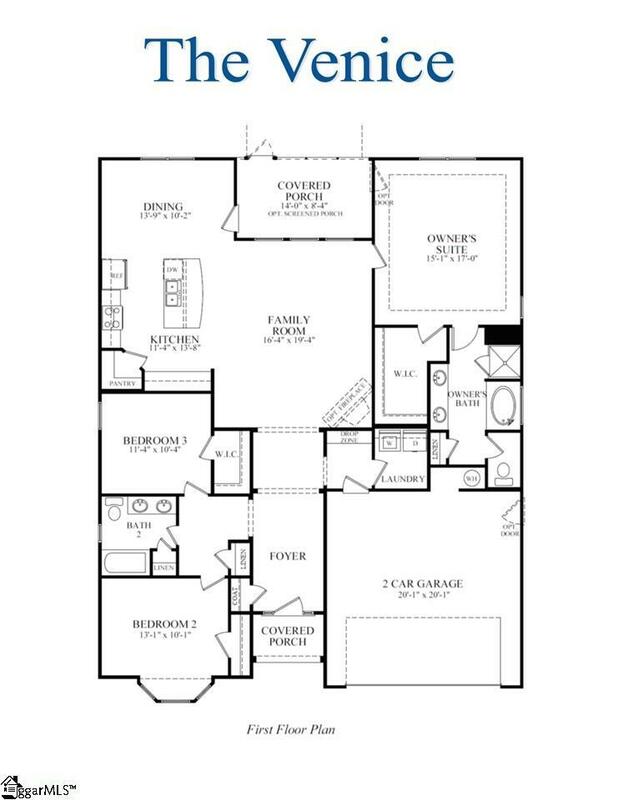 2 additional bedrooms and a full bath offer plenty of room for an office or guest bedrooms. A bonus room above the garage is perfect for movie night or other entertaining. Home is complete with hardwoods in many of your main living areas as well as granite countertops in all baths. Home also features Home is Connected security and monitoring system. 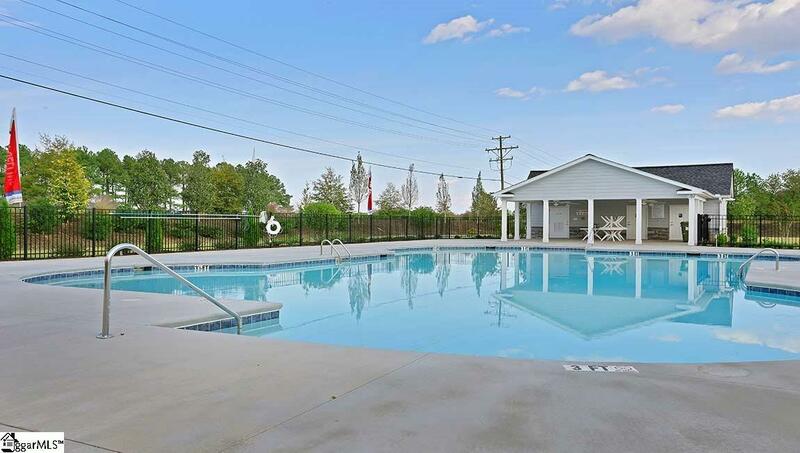 Located off 290 in Duncan, Rainwater offers convenience to everything you need including I-85, shopping and dining but none of the congestion.